Special counsel Robert Mueller did not find that Donald Trump or his campaign schemed with Russian efforts to interfere in the 2016 presidential election, according to a summary released Sunday that the president immediately embraced as a "complete exoneration" even though Mueller reached no conclusion about whether the president obstructed justice. "The Special Counsel's investigation did not find that the Trump campaign or anyone associated with it conspired or coordinated with Russia in its efforts to influence the 2016 U.S. presidential election," says the four-page summary by Attorney General William Barr. The letter notes that Mueller's probe said no such conspiracy was found "despite multiple offers from Russia-affiliated individuals to assist the Trump campaign." 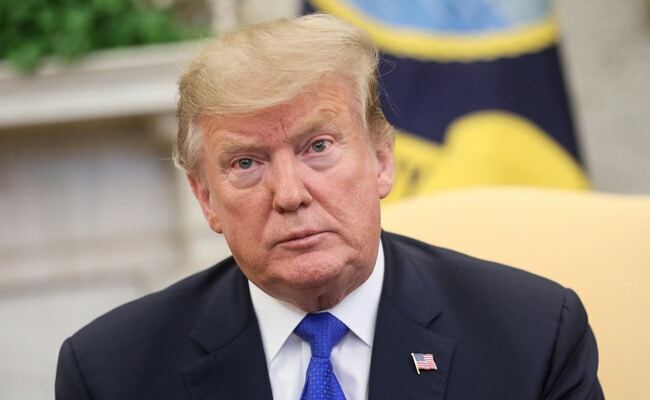 Trump spoke to reporters at a Florida airport Sunday afternoon, declaring that the dark cloud of suspicion that had hung over his administration since its inception had finally lifted. "After a long look, after a long investigation, after so many people have been so badly hurt, after not looking at the other side, where a lot of bad things happened, a lot of horrible things happened for our country, it was just announced there was no collusion with Russia," the president said, declaring the findings "a complete and total exoneration." "It's a shame that our country had to go through this, to be honest it's a shame that your president has had to go through this," Trump said. "The Special Counsel . . . did not draw a conclusion - one way or the other - as to whether the examined conduct constituted obstruction," Barr's letter to lawmakers states. "The Special Counsel states that 'while this report does not conclude that the President committed a crime, it also does not exonerate him'," the letter says, signaling that Mueller's team apparently struggled with the issue. "For each of the relevant actions investigated, the report sets out evidence on both sides of the question and leaves unresolved what the Special Counsel views as 'difficult issues' of law and fact concerning whether the President's actions and intent could be viewed as obstruction," the letter says. Mueller "ultimately determined not to make a traditional prosecutorial judgment," Barr wrote, leaving it up to the attorney general and Deputy Attorney General Rod Rosenstein to decide whether the president had committed obstruction. Rosenstein and Barr "concluded that the evidence developed during the special counsel's investigation is not sufficient to establish that the President committed an obstruction of justice offense. Our determination was made without regard to, and is not based on, the constitutional considerations that surround the indictment and criminal prosecution of a sitting president," Barr wrote. Barr further explained that decision by writing "the report identifies no actions that, in our judgment, constitute obstructive conduct, had a nexus to a pending or contemplated proceeding, and were done with corrupt intent, each of which, under the Department's principles of federal prosecution guiding charging decisions, would need to be proven beyond a reasonable doubt to establish an obstruction of justice offense." The highly anticipated summary of Mueller's investigation was sent to Congress on Sunday. Over four pages, it described in broad terms Mueller's work. Brian Rabbitt, the attorney general's chief of staff, called White House lawyer Emmet Flood and gave him a readout of the letter at 3 p.m., a senior Justice Department official said. "That is the extent of the conversation between us and the White House on the report thus far," the official said. Mueller's central mission had been to determine if Russian efforts to interfere in the 2016 election were aided or assisted in any way by Americans, including people close to Trump. In all, Russian citizens interacted with at least 14 Trump associates during the campaign and presidential transition, according to public records and interviews. Of particular concern was the interaction between a London-based professor and a low-level Trump foreign policy adviser, George Papadopoulos. According to court filings, the professor told Papadopoulos in April 2016 that the Russians held damaging information about Trump's opponent, Hillary Clinton, in the form of thousands of emails. Mueller also dug into a June 2016 meeting at Trump Tower in New York. Trump's son Donald Trump Jr. and Trump's son-in-law Jared Kushner met with a Russian lawyer after being told she had incriminating information on Clinton that was being offered as part of the Russian government's support for the GOP candidate, according to emails exchanged in advance of the meeting. Seeking to answer the collusion question, Mueller has also scrutinized the anti-secrecy group WikiLeaks, which released batches of Democrats' emails that U.S. investigators say were stolen by Russian intelligence officers. Since his appointment in May 2017 as special counsel, Mueller has also wrestled with the question of whether the president attempted to obstruct justice once the FBI began investigating those close to him. Current and former White House officials who were questioned by Mueller's investigators were repeatedly asked about how the president spoke of the investigation behind closed doors, and whether he sought to replace senior Justice Department officials to stymie the probe, according to people familiar with the interviews. The special counsel's work led to criminal charges against 34 people, including six former Trump associates and advisers. On Saturday, officials said that one of those cases - that of Trump's former deputy campaign chairman Rick Gates - will be transferred from the special counsel's office to federal prosecutors in Washington. Gates pleaded guilty last year to conspiracy and lying to the FBI, and he continues to cooperate with prosecutors while awaiting sentencing. A senior Justice Department official said the special counsel has not recommended any further indictments - a revelation that buoyed Trump's supporters, even as additional Trump-related investigations continue in other parts of the Justice Department, in Congress and in New York state. Rep. Jerrold Nadler, D-N.Y., the chairman of the House Judiciary Committee, said in a series of tweets he wanted Barr to quickly testify before Congress to explain what the lawmaker called "very concerning discrepancies and final decision-making at the Justice Department following the Special Counsel report." Nadler said Mueller "clearly and explicitly is not exonerating the President, and we must hear from . . . Barr about his decision-making and see all the underlying evidence for the American people to know all the facts." Sen. Lindsey Graham, R-S.C., called the findings a "good day for the rule of law. Great day for President Trump and his team. No collusion and no obstruction. The cloud hanging over President Trump has been removed by this report. Bad day for those hoping the Mueller investigation would take President Trump down." Rep. Douglas Collins, R-Ga., the senior Republican on the House Judiciary Committee, said the investigation was "long, thorough and conclusive: There was no collusion. There is no constitutional crisis." He called on Democrats in Congress to now dial back their "sprawling" inquiries into the same issues. The Washington Post's Felicia Sonmez, Paul Sonne and Drew Harwell contributed to this report.